The best defense is a good offense says an old adage, and the Shield Arm Bracers with Daggers take this phrase to heart. Bracers usually only known for providing protection to the forearms, but the addition of daggers turns them into an excellent surprise-offense. 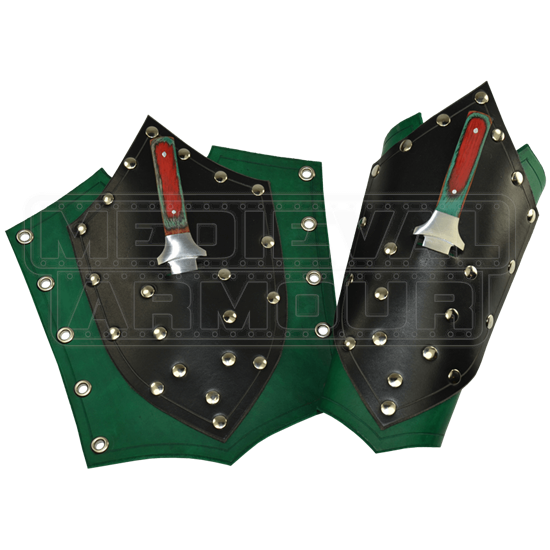 The daggers included with the bracers are conveniently located on the forearm making them readily accessible for a swift, sudden, and entirely unexpected attack, especially if you are opponent has not paid attention to your bracers all that much up until now. **In all seriousness, though, the daggers are very sharp and they should not be used against live opponents. ** The bracers are made from two layers of supple 7/8 oz. leather. The first layer is the actual bracer which wraps around your forearm and the second layer is a shield-shaped piece on which the dagger-hilt rests. The blade fits snugly into a cut into the leather so that it is stored, safe and secure, between the two layers. Eyelets line the left and right sides of the bracer. The given leather lace is threaded through these holes to ensure that the bracers can be worn securely and comfortably. 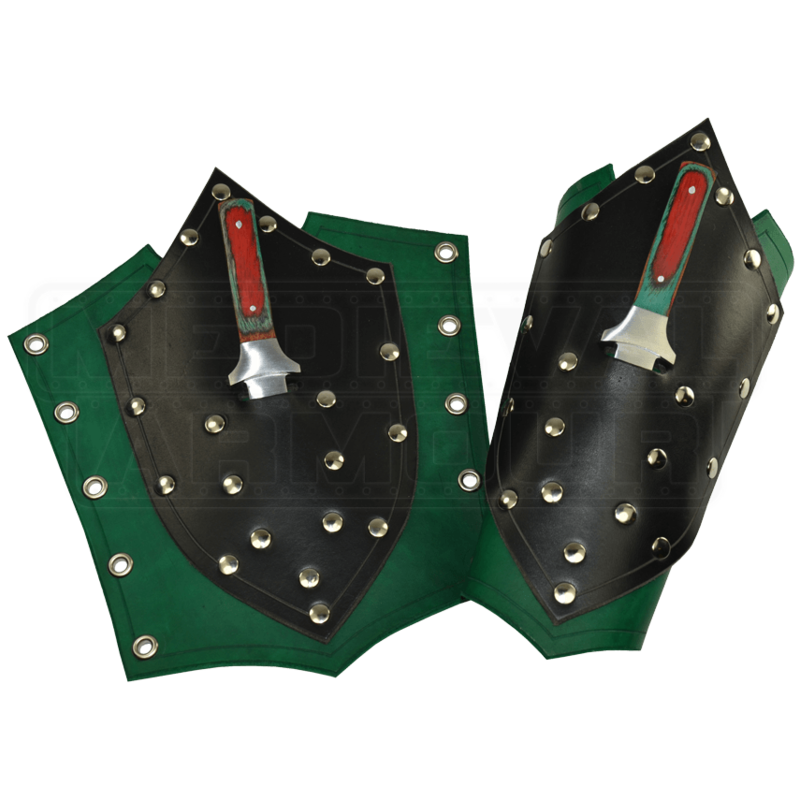 The Shield Arm Bracers with Daggers would make a wicked addition to almost any costume. Rogues, warriors, and assassins alike can all appreciate the addition of a few extra, last-ditch weapons that are within easy reach. Caution: The included daggers are sharp and should be handled/used with care.